HDFC Life provides a variety of Health Insurance Plans & Mediclaim Policies that offer financial security to meet health related contingencies. Due to changing lifestyles, health issues have not just escalated, they have increasingly become more complex in nature. It becomes imperative therefore to have a health insurance plan in place, thus your financial planning is incomplete if you have not accounted for health. Health Insurance is a kind of insurance that provides coverage for medical expenses to the policy holder. Depending on the health insurance plan chosen the policy holder can get coverage for critical illness expenses, surgical expenses, hospital expenses etc. Changing lifestyles are causing diseases with expensive and prolonged treatments. It helps meet various health insurance needs be it based on the life stage of a person or a specific disease. Body Mass Index (BMI) is a number calculated from a person's weight and height. Most people think that it will never happen to them yet so many are often proven wrong. A serious bout of ill-health often lands people in hospitals inflicting serious damage to their family’s finances. A financially unprotected and ill-prepared family can suffer for years thanks to one medical emergency. This is one major reason why everyone needs to be covered by health insurance through a health insurance plan. Nobody is immune to the impact of inflation on their finances. Yet many are unaware that medical costs have risen faster than general price rise. The future is expected to be no different and that is one more reason people need to have medical insurance through health insurance plans and mediclaim policies. While a mediclaim policy reimburses the policyholder for the hospitalisation, health insurance policies go a step further and cover other expenses. Thanks to advances in healthcare and greater access of healthcare facilities like hospitals and clinics, people are living longer and leading better quality of life. At the same time, changing lifestyle has led to increase in lifestyle diseases like diabetes and those related to the heart. Of course, there is cancer whose onset has also increased. Most of us are aware that the treatment for such diseases, especially hospitalisation can be very expensive. This provides us with yet one more reason to have health insurance or medical insurance by buying an online health insurance plan. Clearly, meeting such expenses from regular income is not even an option. Also, you can never be sure how much such an emergency would cost you. This makes it much more sensible to have medical insurance through at least a mediclaim policy and ideally, a health insurance plan. If you are unprotected from the impact of emergencies, your family’s present and future are bound to be impacted. Remember, not only will you have to pay for your immediate treatment but also have to spend money for follow-up treatment. That’s not to ignore the possibility of a disruption in your earning your regular. Often, all this involves you or your family making premature exits from investments. This may not only derail arrangements in meeting regular family expenses but also your progress for the future such as child’s higher education. To sum up, medical emergencies can be much more expensive than they might appear. The good news is that we have health insurance plans that can help us get our lives back on track after any medical emergency. If you want to protect your family and its finances from costs related to health emergencies, you need to health insurance and ensure adequate coverage from a health insurance plan. If you or any of your family members, covered by medical insurance suffers from a medical emergency, a health insurance plan comes to the rescue. Such a plan typically reimburses you for the expenses covered by the policy and incurred during the episode of the medical emergency. Traditionally, medical insurance providing policies known as mediclaim policies covered hospitalisation expenses. However, a health insurance policy needs to do more and cover other expenses related to hospital stay and onset of critical illness. Here are some additional benefits that a good health insurance plan typically provides. When you suffer from a critical illness like cancer or major heart disease, the financial impact starts from the time of diagnosis. A health insurance plan covering large number of important critical illness can provide the wide ranging protection that you and your family needs. You need to ensure that the health insurance plan covers the major critical illnesses like cancer, paralysis, coronary artery bypass surgery, major organ transplant, stroke and kidney failure. Of course, along with regular health insurance plans, one can supplement the medical insurance coverage with health insurance plans covering specific critical illness like cancer. Typically, such critical illness insurance plans not only provide the lump sum payout on detection of the disease but also provide additional benefits such as provision of regular income a for a period of time, and waiving off the requirement to pay premium for the health insurance plan. Unlike traditional mediclaim policies, a good health insurance plan should meet another important requirement of daily cash expenses that arise during stays at the hospital. Typically, a percentage of the total insurance amount is paid as daily cash benefits. When you are smart enough to adequately protect your family finances from medical emergencies, you also get rewarded in other ways. Like traditional mediclaim policies, premiums paid under health insurance plans are eligible for deduction upto Rs 25,000 under Section 80D of the Income-tax Act, 1961. You get further deductions of Rs. 25,000 if you pay health insurance premiums for parents, who are not senior citizens. Just in case your parents are senior citizens, the eligibility of additional deductions goes up even further to Rs 30,000 from Rs. 25,000 stated above. A good health insurance plan in India or medical insurance coverage has to be more than what a mediclaim policy provided in the past. It is all about securing you from all possible expenses during health related emergencies. It is important that your health insurance plan not only covers all your expenses incurred in the hospital like but also other expenses related to critical illnesses that are increasingly arising due to changes in lifestyles. We are aware of how important health insurance is in protecting a family’s finances in the event of a medical emergency. But how does one buy a health insurance plan? Here are some tips to buy medical insurance with the help of a health insurance plan. There is little logic on scrimping on premiums while buying mediclaim policies. The focus has to be on getting the maximum coverage required by your family at affordable premiums. Remember, you pay from your pocket whatever a mediclaim policy or health insurance plan doesn’t. Insurance companies providing mediclaim policies or health insurance plans typically have tie ups with hospitals having large networks. You need to check whether hospitals or healthcare facilities empanelled with a prospective insurance company, are situated close to your residence. Also, check if the insurance company has a presence across the country so that in the case of the need for physical interaction, you are not inconvenienced. Mediclaim policies and health insurance plans provide financial protection to you in case of medical emergencies but the coverage of the emergencies are specified in the policies. It is important to be aware of these conditions, the ailments and diseases that are covered. Consider opting for a health insurance plan that has a wide coverage and few exclusions. If you suffer from a particular ailment, you will need to disclose this at the time of buying a health insurance plan. At the same time, it is important to know from when the disease will get covered. Typically, insurance companies start covering pre-existing ailments after 3-4 years of continuous coverage. Almost all companies offering health insurance companies offer online policies. The premiums for such mediclaim policies and health insurance plans are lower since the companies pass on savings from distribution and other cost savings. However, remember that advice and support you get from an advisor will be absent and you will need to deal with the company directly. This makes it important for you to choose an insurance company well known for its customer service both online and in its branch offices across the country. To sum up, online health insurance provides you with financial protection your family needs in case of medical emergencies. Yet, one needs to keep these five things in mind to make the most of this protection tool. What is the tenure of health insurance plans? 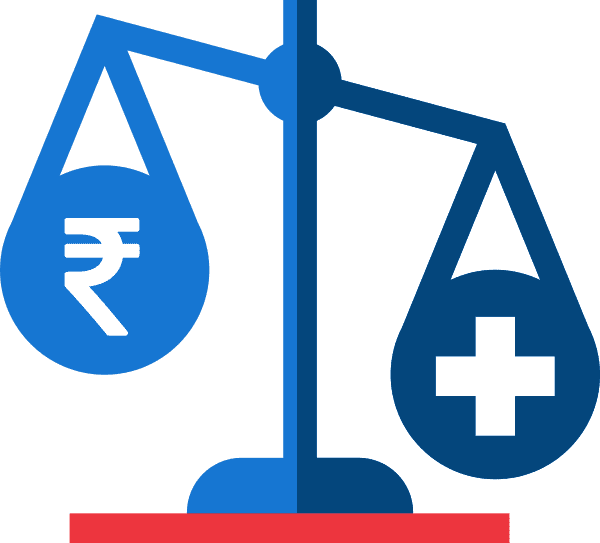 What is frequency of premium payment for health insurance plans? What is typically the age at which a health insurance plan can be bought? When does one get the critical illness benefit from health insurance plans? Is there any tax benefits available for health insurance premiums? Health insurance plans provide annual tax deductions of upto Rs 25,000 under Section 80D of the Income-tax Act, 1961. 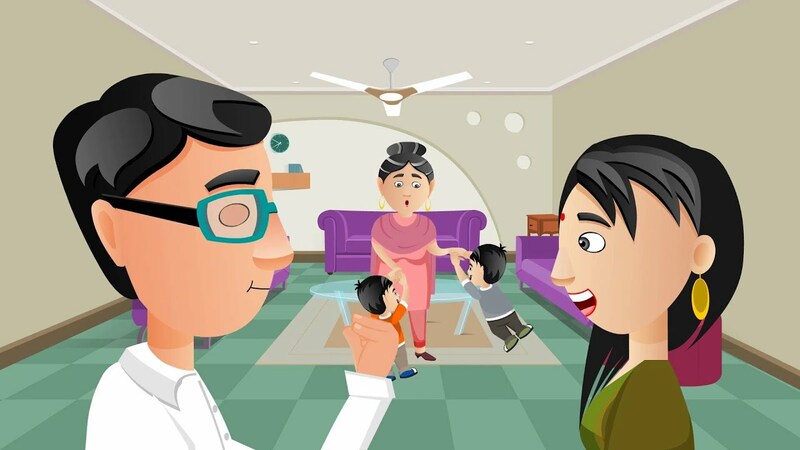 You get further tax deductions of Rs 25,000 if you pay health insurance premiums for parents, who are not senior citizens. Just in case your parents are senior citizens, the eligibility of additional tax deductions goes up even further, to Rs 30,000. What happens if there is an existing health plan and there are additions to the family? To adapt to situations where there additions in the family, especially after the birth of a child, or health insurance coverage needs to be enhanced for some other reason, you can buy health insurance plans that allow to-ups. Health insurance plans from some life insurance companies provide facilities for top-ups. They also have provisions for top ups to happen automatically on reaching certain life stages like marriage. If one doesn’t make a claim, doesn’t the policyholder’s money actually get “wasted”? There are health insurance plans, especially those provided by life insurance companies that provide you with return of your premiums at the end of the policy term. Do health insurance plans provide accidental death benefits? Certain life insurance companies provide health insurance plans that provide accidental death benefit. This is over and above their death benefits. What happens to the health insurance plan if a person becomes permanently disabled? Look for a health insurance plan that waives off the premium payment requirement. Health is wealth. Never have truer words been spoken. If you are healthy, you find yourself in the right frame of mind to tackle any hurdles that are thrown your way. However, just like life that has its ups and downs, your health too is not always predictable. You may make healthy choices every day, follow a good diet and exercise regularly, but may still find yourself falling sick once in a while. Situations like accidents come as a surprise and can never be planned for. Even while you are in the best of health, it is important that you visit a medical professional for regular check-ups. In any given case, it is always advantageous for you to have a health insurance plan. You may be selecting a health insurance plan through an employer or independently. Whatever the case may be, most people require some guidance on how to choose the right health insurance plan. Here are three important things to consider before you pick a health insurance plan. When it comes to healthcare, the costs are rising. A health insurance plan or a mediclaim policy offers you some degree of financial protection. One of the perks of a health insurance plan is that most plans offer a tax-savings incentive. However, do not make tax savings the sole objective when you purchase a health/medical insurance plan. A detailed health plan is the best route to achieving financial stability in the long run. A medical emergency can quickly escalate into a financial crisis if you do not have health insurance. If you or an earning member of your family falls ill, it becomes a double whammy. This is because the ill individual requires funds for healthcare while losing the ability to earn an income. Almost nobody can be productive while they are sick. Having a health insurance plan is like paying a small price for long-term fiscal benefits. Receiving a health insurance plan through your employer is a wavering situation. There might be instances where the medical insurance your employer offers is optimal. However if you are self-employed, then an employer’s health insurance plan is not even a consideration. Once you retire, an employer may not continue to provide you with health insurance. If you have a family, your employer’s plan may not cover the insurance expense for all your family members. You need to do some research here about what the best way forward is while considering a health insurance plan through an employer. Simply tagging along with your employer’s health insurance plan in India may not be the best decision for you. Make an educated decision about whether to pursue a health insurance plan through your employer or not. Often while considering health insurance plans, the tendency is to look at just the monthly premiums. However, a monthly premium could turn out to be the least of your costs. A co-payment could be a major expense. A co-payment is the amount that you will pay out of pocket before the insurance covers costs. Here is where you want to make a practical decision regarding how high or low a health insurance premium you can afford. Simply comparing premiums could be misleading. Based on your budget, you want to find a fine balance between out of pocket expenses and your health insurance plan premium. When it comes to your health, the stakes are high. You want a holistic health insurance plan. Hence, you should pick a plan only after you carefully think over all aspects of the health insurance plan in question. Do not get befuddled by the unfamiliar terminologies or diversity of mediclaim policies available. The great news is that HDFC Life offers a set of health insurance plans that are tailored to your needs. Just think of the aforementioned simple considerations and you are on the correct path to picking the right health insurance plan for yourself and your family. Once you are insured, you can have a sense of security and lay any uncertainties to rest. Having a health insurance plan is a good boost to having peace of mind. Smoking affects at least 6 million people a year*. Cancer treatment is expensive. HDFC Life Cancer Care now covers smokers too! How to tackle expensive medical emergencies? Yes, you may be eligible for tax benefits under section 80D of the Income Tax Act 1961. Please note that the above mentioned benefits are as per the current tax laws. Your tax benefits may change if the tax laws are changed. It is advisable to re-confirm the same with your tax consultant. Can I Nominate or Assign? As per Section 39 of the Insurance Act, 1938, you can nominate a person to receive the benefits under this health insurance policy. During your lifetime and while your policy is in force, you may at any time, by written notice to us, designate any person or persons as a nominee to whom we shall pay benefits under this health insurance policy upon your unfortunate death. 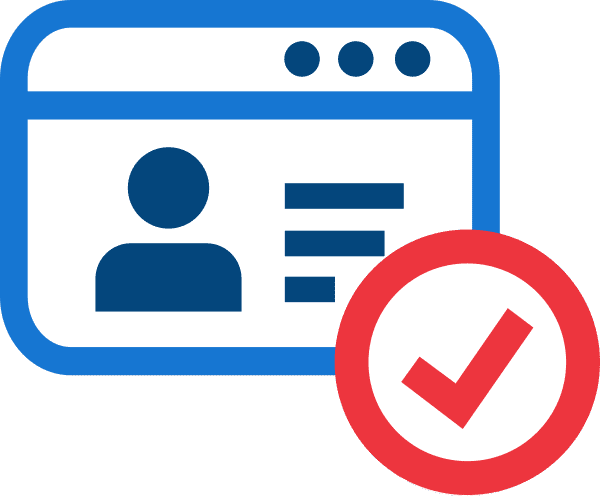 In case the nominee so named is a minor, then the policyholder is required to name an appointee (other than himself) for the minor nominee. Assignment shall be subject to Section 38 of the Insurance Act 1938. How can I Pay the Health Insurance Premiums? Whom should I contact for queries?